If you are a young forex trader, you have probably come across multiple confusing terms used in the market. Most of these terms are used so often such that no one bothers to explain what they mean. 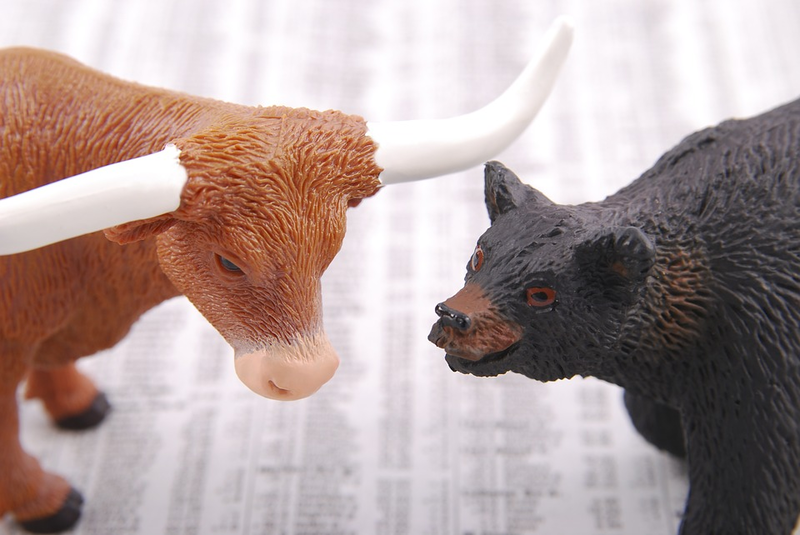 Bearish and bullish are some of those common terms touched by almost all forex articles and news blogs. Knowing their meanings would be helpful as the knowledge would not only help you to understand what you read but also help you make wise business decisions in each market. Bullish and bearish terms used to explain or characterize the current trends in the stocks, commodity and currency markets. CFD Trading is said to be bullish if the prices are increasing. On the other hand, the market is considered to be bearish if the prices show a general decrease in price. This doesn’t, however, refer to the entire market. Specific assets or a particular market segment can be considered bearish or bullish as the words are occasionally used by specific traders to express their sentiments. The market can therefore either go bearish or bullish even before the specific trends start. The origin of these two terms is not yet clear, even when forex traders widely use the words. There are multiple theories which all seeks to explain the origin of these terms, but none of them has been accepted. The most common idea here is that the graph lines which show the trends correspond directly to the movements, made by the animals when they fight. I.e., bears tend to swipe downwards with their claws while the bulls ram horns upward and forward. Another popular theory points out to the English merchants who speculate the idea of selling bearskins through selling the skins even when the bears have not yet been killed. They did this with the belief that the skin prices would go down before the skins are delivered. This made the transactions more profitable. What makes a bearish market? What makes a bullish market? Bull markets happen only when the economic indicators imply that the market activities are increasing. Consumers increase their confidence due to high levels of employment, and this makes the consumers invest or spend more. Although the prices tend to increase when the demand increases, it also increases their confidence levels to keep purchasing for more. In the long run, the market keeps rising. Investors decide to use the different modes depending on multiple factors such as the financial performance, national economic data, global economic data, etc. The market is therefore said to be bearish when the performance drops by 20%. On the contrary, the market is said to be bullish when the performance experiences a more than 20% increase. In simple terms, the market is bear when there is a fall, and it’s a bear when there is a rise. The two market situations require different marketing strategies to make profitable, and it’s therefore important to keep updated with news to know the current market situation.